‘BRITS are shunning tea for coffee’, so screeched the headlines in 2017 after a study found 61% of people said they preferred a cup of Joe to good old Rosie Lee. The survey results, generously shared by coffee syrup company Monin, had pundits predicting the death of Britain’s tea-drinking tradition, but they didn’t surprise former City trader Sonja Wittenberg. 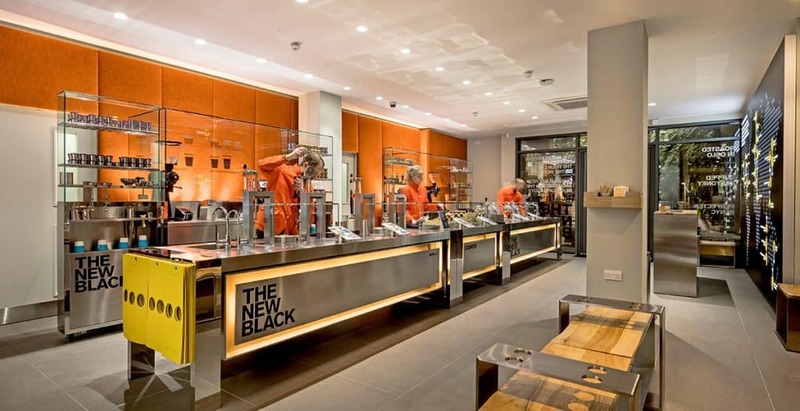 As managing director of The New Black, a coffee bar with sites in Philpot Lane and Canary Wharf, she has seen our caffeine addiction take hold, prompting the Singapore-born company to ramp up its efforts to conquer London’s overcrowded market in 2018. “In the ’80s and ’90s we saw all these mass market brands like Costa and Nero, which have done exceptionally well but they have always functioned as mass market brands,” she says. But in the City, where quality is king and 50-hour working weeks command a caffeine source close by, there remained a gap between convenience and a high-calibre product. That’s where The New Black comes in, promising a “business class” treatment from its coffee “gallery” next to the Walkie Talkie building, featuring a curated collection of the best artisanal roasts from around the world. They work with more than 20 roasters on a seasonal basis, from big-name locals like Workshop and Square Mile through to US-based Counter Culture, Australia’s Small Batch, and lesser-known companies from across Asia. The laboratory-style space is decked out in glass and steel with a colourful coffee taste wheel on the wall that expert baristas refer to with a reverence akin to that of a chemist and their periodic table. Customers can pre-order direct from an app and collect without a wait, or those with a few minutes to spare can scroll through tasting notes on iPads and consult with the baristas to find a new favourite. “Most of the time when you come into a coffee shop you ask for a flat white or an Americano and you either like it or you don’t but you don’t know why,” Sonja says. “Our customers can see that it’s a Colombian bean, roasted in Australia, what it will taste like, and that we recommend you drink it as a long black. That scale is set to double in the coming months, with two additional mobile retail spaces planned for prominent City buildings in the first quarter. The idea is that New Black coffee bars will serve as a value-added perk for commercial property landlords, although Sonja won’t say which offices can look forward to the scent of fresh ground coffee from their lobbies just yet. 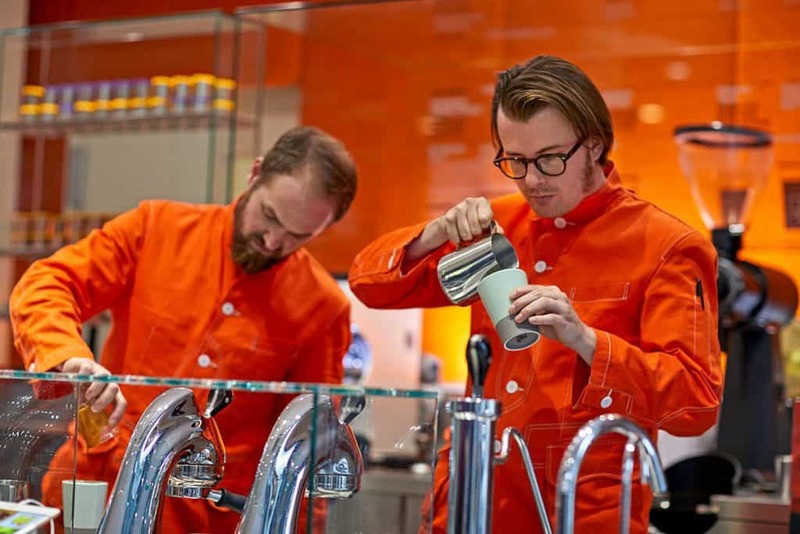 There are plans to offer private clients educational experiences – a German bank might get a tasting tour of European roasters, while Japanese traders are treated to an overview of Asian independents like Singapore’s Two Degrees North. As for the true British traditionalists, The New Black does serve tea – currently a selection of black, green and Earl Grey from Berlin-based Paper and Tea – but make no mistake, they will always take a backseat to the bean.